Homemade edible gifts are a great way to add a personal touch to Christmas, and the perfect solution for when you have to buy presents for a lot of different people. It’s also really easy to transform traditional Christmas treats into stunning Aussie ones using local flavours and produce to create delicious gifts that both kids and adults alike will love. And if you’re not a confident cook, or don’t have much time on your hands, not to worry! This article includes recipes that are cheap, quick, and easy to make. In fact, some are even kid friendly – so you can get the whole family involved! So let’s get started: here are 20 homemade edible Christmas gift ideas – with an Aussie twist – for this year’s festive season. This native Aussie nut, with its stunning texture and taste, makes for a fantastic nut brittle. A great treat for adults and kids alike, this recipe doesn’t involve many ingredients, making it perfect for someone on a budget or in need of a last minute gift idea. The brittle can easily be wrapped in cellophane packages or fabric parcels, or if you’re especially crafty, stylish homemade cardboard or wooden boxes decorated with Christmas themed art are also a fun way to present these edible gifts. Fantastic if you’ve got a big family or lots of friends, this recipe by the Suncoast Gold Macadamia Company makes 1.5 kilograms of brittle, enough to go around until the New Year! Cherry & Macadamia Christmas Cake is a stunning Aussie twist on a traditional Christmas classic. Combining the rich nuttiness of macadamias with the sweetness of cherries, this is sure to become an Aussie festive favourite. This brandy-soaked fruit and spice cake involves overnight soaking and quite a few ingredients… So if you’re short on time, you better get cooking now! Present the gifts as a traditional cake or as smaller bite-sized pieces that can be wrapped in cellophane or fabric parcels. A fantastic way to celebrate Christmas and great Aussie cuisine, this recipe by SBS makes a cake that will serve 24 people. This classic Aussie soda bread, the staple of many a swagman, traveller, and drover of the years, is a fun way to celebrate Australian culture this Christmas. Give the damper a festive edge by shaping the dough into a wreath shape before cooking it in the oven or over a traditional ash campfire. 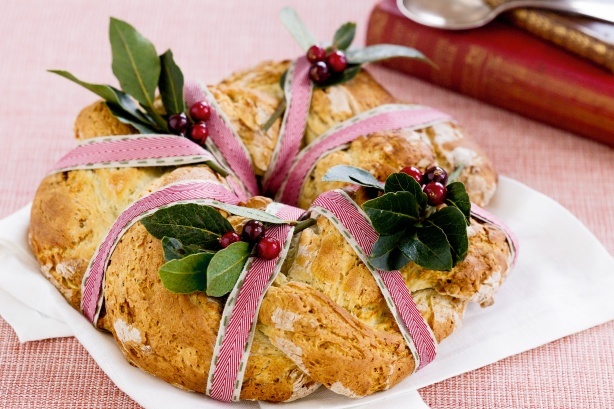 Decorate the damper wreath with Aussie leaves and fruit like Lilly Pilly afterwards. Most of the ingredients for this gift will already be in your pantry. So get cooking! We like this recipe from Taste. Made from wild hibiscus flowers, this gorgeous jam is the perfect shade of crimson for Christmas and the perfect sweet treat for all your friends and family to snack on with homemade scones. This edible gift does require glass jars, which can be found at lots of places like supermarkets, discount stores, op shops (probably including your own home – don’t throw away those old jam jars!). And if you have access to a label or sticker machine, you can even make your own personalised jam stickers. Use fresh flowers – hibiscus if possible – in syrup to make this stunning jam recipe by SBS that can keep for up to a year (if it doesn’t get eaten before then!). This tomato relish recipe by the Country Women’s Association is a timeless Australian classic. Generations of families have enjoyed this recipe, making it the perfect gift to start a tasty Christmas tradition. This recipe is versatile and can be used as an accompaniment to eggs on toast or sausage sandwiches, as well as in bolognaise or on pizza bases. Decorate the jars with personalised Christmas stickers or tags to give them a special touch. If this edible gift isn’t eaten up straight away, it should stay fresh for 12 months, giving your friends and family plenty of time to enjoy these fantastic flavours! Kids will love this sweet and simple treat that can be flavoured with anything from berries to popping candy. It can also be altered for adult tastebuds, making it a really adaptable gift for this Christmas. 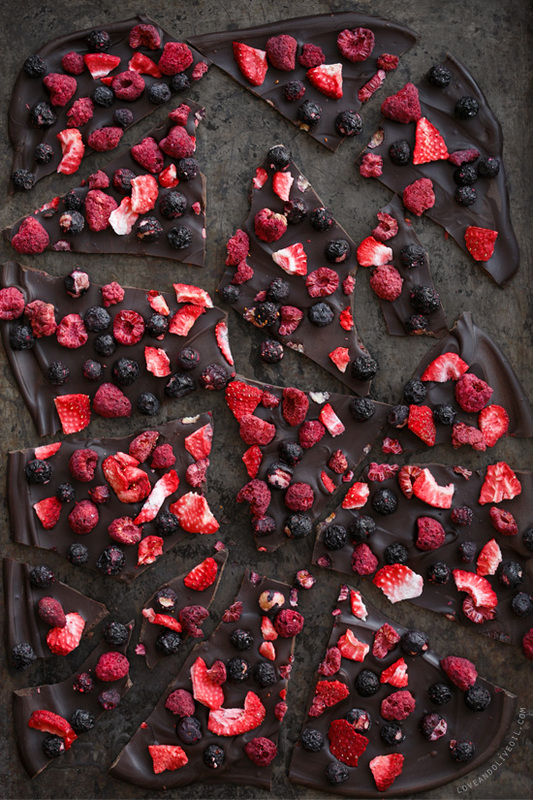 There are many different Chocolate Bark recipes available, but once you’ve got a good base chocolate recipe that you like you can just experiment with mixing and matching your own favourite Aussie flavours. The foodies in your life will absolutely adore a Flavoured Salts gift pack. There are endless flavours and many different salts you can use to create this flavoursome present. To make a truly Aussie gift, try using ingredients that reflect our diverse culture. This recipe by Country Living has six salts to create, including porcini, smoked paprika and ancho, celery, lime-ginger, herbes de provence, and curry. But you can give them all an Australian twist by using Murray River Sea Salt as a base, and substituting the flavours with ones like lemon myrtle, native pepperleaf, sea parsley, dried bush tomato, or saltbush. Give the dessert lovers in your life even more of a reason to have a sweet tooth, with a delicious Scented Sugar pack this Christmas. Relatively inexpensive, and quick and simple to make, all you have to do is seal granulated sugar into jars with aromatic edibles. It’s that easy! Use rose petals, citrus peels, vanilla beans, cinnamon, and lavender, to make your sugar smell and/or taste heavenly. Decorate the jars with personalised labels and edible flowers like pansies and violets to make for a truly ‘sweet’ gift. This condiment is a must-have barbecue treat, and a great Christmas gift idea. The mustard recipe from River Cottage Australia only needs a handful of ingredients and a food processor, so it’s cost effective and easy to make. It will, however, take a couple of days for you to make this fresh edible gift, as the stronger mustard flavour you’re after, the longer you have to let the mixture stand. Package the gift in jars and include a sticker or tag with a list of foods that it would go great with. Your friends and family will never have to buy mustard at the supermarket again! This strictly adults-only present will make cocktails even more fun and fresh than normal. From wild hibiscus (rosella) to blueberry, lime, cucumber, bacon, and habanero, infused vodka can be either sweet or savoury, making it a great gift for those who love experimenting with cocktails. This very personalised way to gift alcohol is quick and simple to make, all you need is jars or resealable bottles. This modern adaptation of a timeless Australian treat will make celebrating Christmas this year a truly patriotic time. The edible gift idea by Taste Australia is so simple that all you need is your favourite ANZAC biscuit recipe and some wattle seeds. The wattle seeds also have a low glycemic index, making this decadent treat a healthy one too. Package these tasty morsels in cellophane or fabric parcels, or create cardboard biscuit boxes that you can decorate with fun Aussie Christmas imagery. Unlike the Scented Sugars, these sugar cubes are infused with delicious espresso flavours, making them the perfect accompaniment for coffees or sprinkled over ice cream. Easy, quick, and cheap to make, all you need is a good tasting espresso powder and some silicon ice cube trays to set the sugar cubes. This simple recipe by Country Living makes 180 sugar cubes in under an hour (you’ll need to wait 8 hours for them to set, however), making it the perfect last minute gift idea for any coffee-loving friends and family in your life. This gourmet nougat will be hard to not keep to yourself! This modern take on the traditional Persian nougat, Gaz, is sweet, sticky, and smooth. The recipe itself is quite straightforward, but there is some skill involved when combining the ingredients. So if you’re a confident cook, this treat will be an excellent gift for both kids and adults this Christmas. If your family and friends can contain themselves, it will keep for up to 3 months in an airtight container. Decorated tupperware or plastic takeaway containers are probably the best way to gift wrap these delicious gifts. This recipe by The Gourmet Traveller makes enough nougat for 60 people. Fresh and fruity for summer, chutney is a great alternative to jams or preserves. With its sweet mango and spicy chilli taste, Mango Chutney is a favourite condiment for many Aussies. It’s a very versatile gift that people can use in lots of different meals, including as a great side to Christmas ham or turkey! It can also be used on sandwiches and in stir-fries or Indian curries. Once the mango chutney is sealed in a jar, attach a chutney spoon and decorate with Christmas tags that have fun recipe ideas. We love this simple chutney recipe by Taste. Transform the customary alcoholic gift into a stunning Tequila Hot Sauce that can be used in both sweet and savoury dishes, from seafood to grilled fruit. The main cost of this gift is the alcohol, as the sauce recipe calls for only five ingredients (of which 3 are spices). You can also use the bottle that the Tequila came in for extra fun – just reseal, or alternatively, put a pour-spout on it after adding the sauce ingredients to the alcohol. After one week, this sauce will be ready for your friends and family to enjoy over Christmas and the New Year. We like this recipe by Saveur. Make a delicious honey that can be used as a spread, salad dressing or drizzled over cheese, as well as a delicious ingredient for baked goods. All you need is a pot of honey and the herb of your choice to create this yummy gift. Herbs you can infuse include mint, lemon myrtle, rosemary, thyme, and sage, but spices like vanilla, cinnamon, and star anise are also great flavours to add. You can buy honey from the supermarket or you can source locally made Australian honey and support Aussie small business, making this gift doubly sweet. Find some flavour inspiration from TheKitchn. After all the rich foods people eat at Christmas, your friends and family might be looking for something a little less indulgent to eat. Make a personalised Granola to gift people this Christmas by mixing and matching your favourite flavours. Not only does it make for a healthy snack, but it’s also very easy to make, particularly if you’re looking for a last minute gift. Use ingredients that reflect Christmas colours (e.g. pistachios, cranberries, coconut), or create a summer granola using dried fruit like pineapple or mango. Store the granola in airtight jars so that it stays crisp and fresh, and decorate the jars with homemade stickers or cardboard tags. We like this recipe from BBC, if you’re in need of inspiration. Your friends and family will love this fresh and tasty pickled cucumber Christmas gift. The recipe only takes about a day to make, and each jar should last up to 6 months (although the cucumber will lose some of its crunch over time), so you won’t have to worry about belated gift giving. Give it a unique edge by adding your own ingredients to the traditional recipes. Ideas include chillies, lemon zest, garlic, or even Aussie saltbush. Great for sandwiches, hamburgers, and in salads, pickled cucumber is an Australian favourite that will have everyone asking for more. This is a great recipe by SBS. This sweet, tangy, golden spread uses only four ingredients: sugar, lemon, eggs, and butter. That makes it the perfect quick, cost-effective, and simple gift to make for Christmas. A delicious addition to toast, scones, or inside a lemon meringue or tart, this curd has many uses. But if you want to try something different, oranges or limes can be substituted, as they make a curd that is just as delicious and unique. It takes only 20 minutes to make this recipe from SBS, so you can even rush it the morning or night before! This tasty treat only needs almonds, salt, sugar, water, honey, olive oil, and a bit of cayenne pepper. A great snack for friends and family who love a bit of spice, these almonds can be made in less than 2 hours and are ready to eat straight away. Package them in cellophane or fabric parcels, and don’t forget to label that they’re spicy! If you don’t think the almonds will be enough on their own, you can add them to a homemade trail mix for a unique – but spicy – snack. You can find a good almond recipe on Allrecipes. PLEASE NOTE: Any jars you use will need to be appropriately sterilised in the oven BEFORE you put anything inside them. Sterilisation prevents mould and bacterial growth in your food.